The oceanBP doesn;t work when i migrate my assets to an other project! Did you check your post process volume for your level? maybe the post process Blendables got changes/corrupted/removed, due to recent formatting changes. Yeah i have fix that,but is there a way to make the TPS character float like the other objects on the surface of water? Hey guys, first of all thank you for the great effort on this. I'm having an issue with it. When I put any Static Light in any maps inside Ocean package , and hit Build Lighting ... Nothing happens! I just get few map check errors and it just doesn't start the SwarmAgent to Build the lights .. Does anyone else have this issue with baking static lights ?! They probably have "Force No-Precomputed Lighting" turned on in the World Settings. Ah Thanks Man ! Exactly ... and It's weird that it forced off by the way. what files do you download to get this weather system? and how to do you install it? Tozan, read tge first post. DotCam, would it be possible forme to submit my moon mesh and material to the project? It uses a half sphere to save on polys (as you never see the back of the moon) and a high resolution photo of our moon. I love this projet and intend to use it fir a game of my own. Would really like to contribute anything i can. Cheers! And keep up the great work everyone involved! It currently runs on the CPU, the performance is not that great with grids > 256x256 as you can expect but it's totally acceptable at lower resolution grids (it's also possible to multi-thread it, so it should be even better). The video showcases 2 different propagation algorithms that I found. The waves can reflect from walls or custom obstacles btw! Hey TK-Master in the May Epic Jam I made a dynamic wave surface that runs on the GPU and supports custom obstacles. 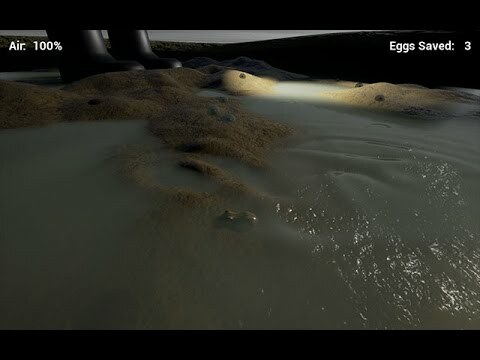 For example the mud is also a dynamic surface and it's heightmap affects the wave propagation. 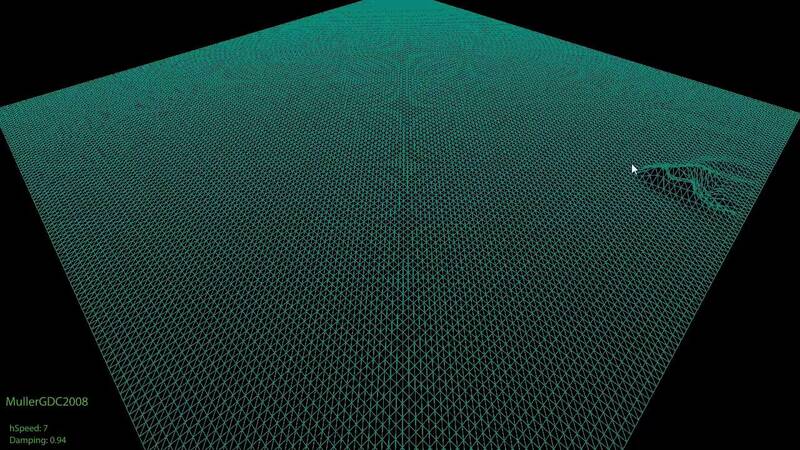 It's running on a 2048x2048 grid in the Jam entry. Like you said in a previous post the technique tends to be frame based and can cause timing issues to mix with the ocean wave system but in my Jam implementation the surface update is not tied to your fps and can be controlled independently, also since I've bumped the buffer from 32-bit to 128-bit the increased floating point precision can allow me to pass a delta time to the transformation to bring it in line with other more mathematical systems. If you have any questions on implementation I'll gladly share what I've got here. Last edited by Handkor; 07-20-2016, 01:45 PM. For now I'm not worried that much about the fps problem, I have integrated delta time into the algorithm so it's more consistent now (although not yet perfect, it still needs work but I think I got this figured out). Currently I have to say I'm kinda struggling with the GPU implementation though, I have not done this before and there are not any simple examples or guides about vertex factories, .usf and whatnot out there. If you could lend a hand with that, it would be awesome! No geometry shader, no vertex factory and not custom vertex buffer, my implementation is strictly applied as a displacement map using CanvasRenderTarget2D and a Transformation material. It's done using what I wrote in the old RenderTarget read wiki page but instead of a capture camera setup, it is done behind the scene in canvas. Oh a displacement render target is what I'm currently using for testing but the problem with that approach is the normals. I can make a second render target for the normal map but that is not going to look smooth (especially with lower resolution grids) since it would be the vertex normals, not the normals per pixel. Do you know of a way to calculate the correct pixel normal from the vertex normals perhaps? I'm thinking some kind of interpolation might do it. I just cheated and used the Normal from Height node in the material editor. Yes the best you can do is get the normal interpolated between your height values but ignore the vertices and just focus on the height buffer but as information density/frequency it is all you got. Depending on how stretched out you make your buffer the normal can be a bit flat. The good news though is that the dynamic plane can follow your actor/camera so you can keep the density pretty high. Alright, I will keep digging and see how it goes hopefully the interpolation method will look good enough (otherwise I will have to power through it and get the vertex factory method working).